Looks Great Mike. How do you like the Spin Stream on your return? Are they noisy? Thanks Keith. They are dead silent after a week or two. Every couple months when the coralline builds up I soak them in a vinegar mix. They really change up the flow and keeps it random. I would be more than happy to lend them to you to try out if you like? 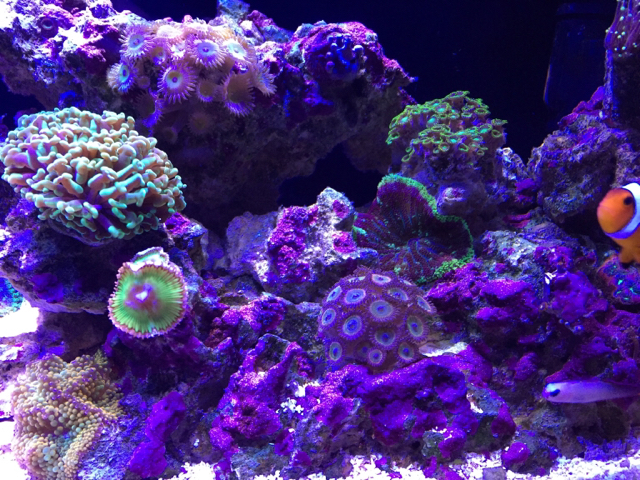 The blue sympodium and purple gorgonian have really grown. Looks great! They are 2 of the oldest in the tank. The symposium is 10X bigger than when I got it from you, and the purple gorgonian has triple in size. It has sprouted a new piece as well, about an inch tall, which you cant see in the pic..........Thanks oldschool! 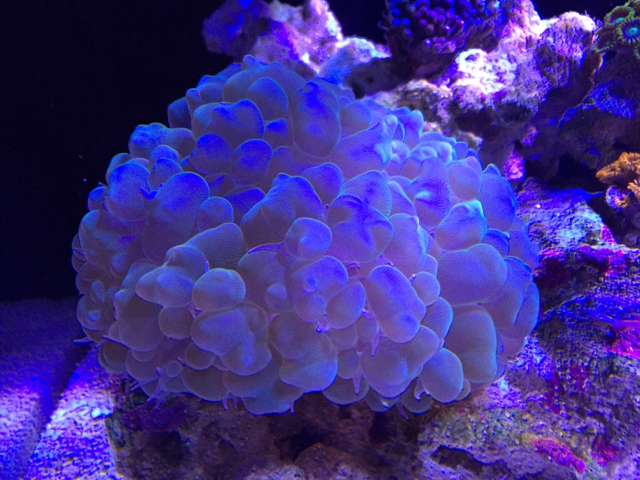 Those are two of my favorite corals. They have always grown well for me and had great color. I just fragged a few of both of those. My anemone project is still going well. I now have seven. I've been working on setting another tank up just for anemone propagation. I have everything but a light and a heater. My wife hit a deer last week that just about totaled her car, so buying anything for a fish tank is on hold. I'd still like to come by and check out your tank sometime. you have my number Garry, Give me a buzz when you're in Boro.